Staying on top of your financial records is no easy task while you're alive. Just imagine how hard it would be for your loved ones to fully grasp your financial picture when you can no longer handle it yourself! 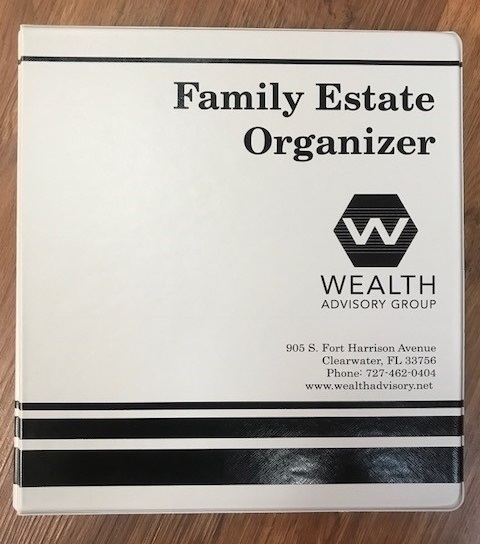 Our Family Estate Organizer makes it one, simplified, and organized place for you and your family to always know where the important documents are such as a will, trust, or tax documents. Give us a call and let us know if you would like to receive your Family Estate Organizer!